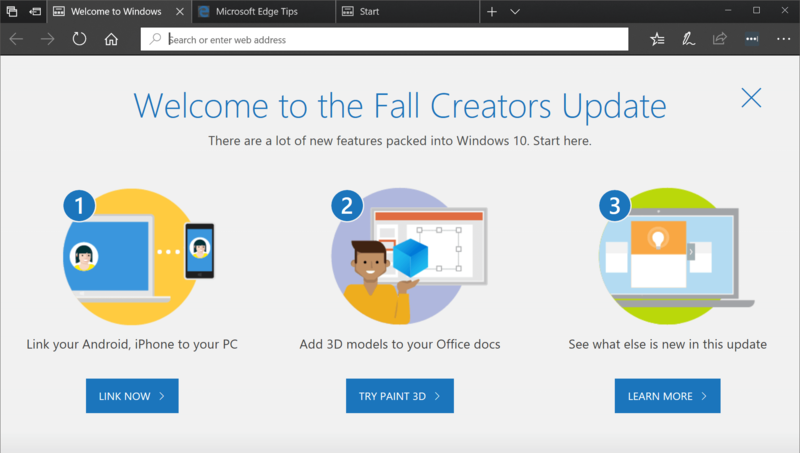 Microsoft in October launched the Windows 10 Fall Creators Update, delivering a bundle of small and medium-sized improvements to customers utilizing Microsoft’s latest operating system. If data from cross-promotion network AdDuplex is at all accurate, Microsoft is likely pleased with the update’s adoption rate thus far. According to AdDuplex, an impressive 85 percent of PCs running Windows 10 have installed the Fall Creators Update. In some countries like Canada, Germany and Finland, the update has a market share of over 90 percent although others such as China and India bring the global average down with adoption rates in the 60 percent range. The original Creators Update has a market share of 8.1 percent while the Anniversary Update, launched in mid-2016, has a current install base of 5.1 percent. AdDuplex notes that growth is obviously slowing down as the next major update is imminent. Speaking of, Microsoft is rumored to be putting the finishing touches on an update tentatively known as the Spring Creators Update. We don’t know a ton about the update, codenamed Redstone 4, just yet although most expect the Timeline feature to be one of its flagship highlights. Microsoft will likely unwrap the Spring Creators Update at its annual Build conference. This year’s developer conference takes place in Seattle on May 7-9, overlapping Google’s I/O conference scheduled for May 8-10.